The tender tea buds, picked in the early spring at Mt. 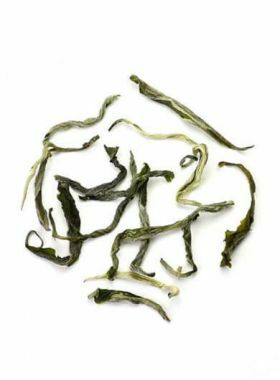 Mengding of Sichuan, is green and clear when brewing it, accompanied with jasmine flower dancing up and down, like the winter snow, and tastes fresh and sweet with rich jasmine aroma. Bi Tan Piao Xue, or snowflakes over aquamarine pond, are selected the jasmine flower in Hengxian County of Guanxi and green tea in Mt. Mengding of Ya’an as the raw materials. After 7 times of scenting, the tea leaves fully absorb the jasmine fragrance, which makes the tea sweet and jasmine aroma strong and fresh. “Bi” refers to the color of tea liquor. “Tan” refers to tea bowl. “Xue” refers to the jasmine petals, which bring another color to this tea. Compared with other jasmine scented teas, this tea contains jasmine flower. It is not meant for enhancing the jasmine flavor, but for decorative purpose, making it’s more pretty and elegant. Pouring 80℃ hot water into Gaiwan, the fresh jasmine aroma wafts into the air and then the tea leaves sink slowly to the bottom, the jasmine flower floating on the surface, just like the white snow floating on the tea garden, very charming. While brewing, we can choose transparent glass cup, through which we can see the jasmine blooming in the tea, very comfortable. As well as being scented six times with jasmine flowers, this type of Bi Tan Piao Xue has undergone a special process called Yi Ti, or Ti Hua (提花, “final scenting”) with the goal of enhancing the intensity of the refreshing jasmine fragrance. Only first-grade flowers are selected for this, featuring large petals, pure white color, and strong fragrance. 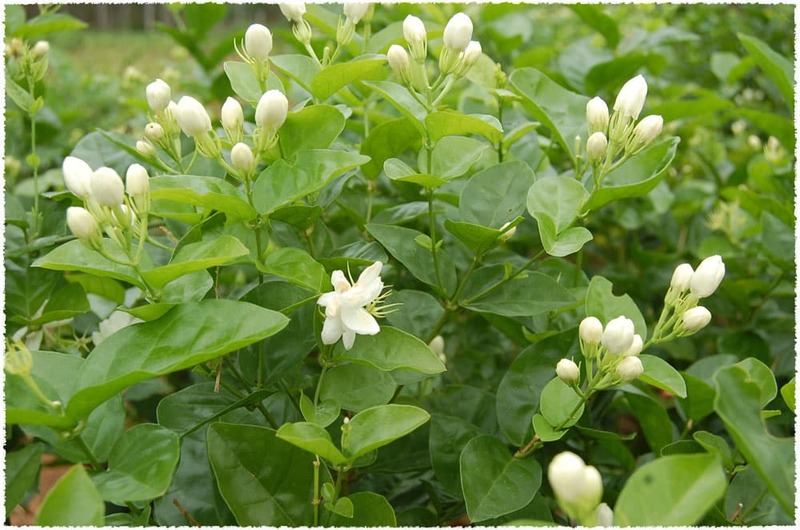 In order to retain this fragrance, the tea leaves and jasmine flowers are mixed together for one more scenting, and then do not undergo any further drying. Generally, the entire process of Ti Hua takes 6-8 hours, and for every 100kg of leaves, about 6-8kg of flower petals is needed. TeaVivre’s Bi Tan Piao Xue Jasmine Green Tea comes from the Mt. 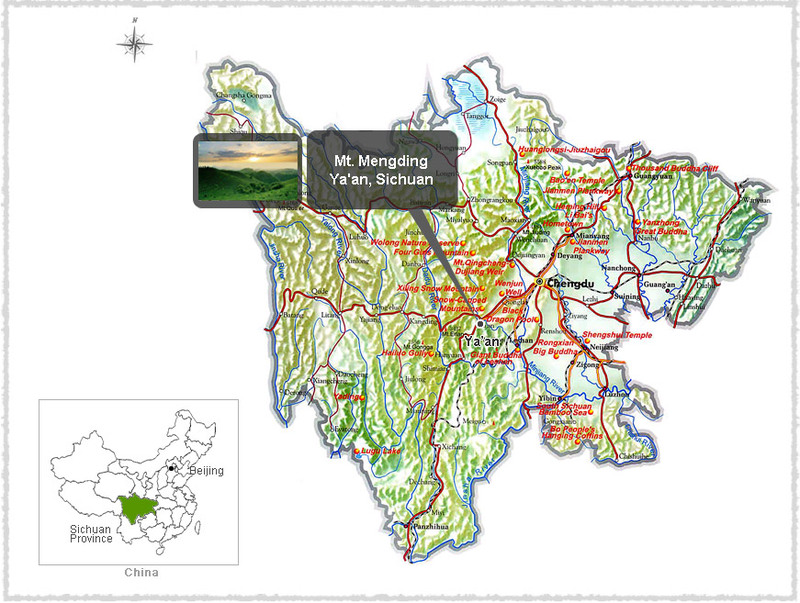 Mengding Tea Area at the elevation of about 1200 meters, which is located in Ya 'an, known as “the Rain City”. The ecological environment here is excellent, especially the misty and rainy climate provide advantageous conditions for the growth of tea, which help the formation of nitrogen in teas and increase the content of amino acids and other substances. Ya’an City, located in the west of Sichuan Basin, is not only a city of mountains and rivers, but also a city with tea fragrance. People began to plant teas at Mt. Mending of Ya’an in the Western Han Dynasty, which not only has more than 2000 years of tea planting history and rich cultural heritage, but also has the reputation of “Like the water in Yangtze River, the Mengshan tea has the top quality”. The average temperature here is 14.5℃ and it's drizzly all year round. This special ecological environment can reduce direct sunlight, which is very beneficial to the growth of tea trees and the formation of nitrogenous substance in tea leaves. The fresh tea leaves are green and dark green in color with small shape, which belong to small-leaf tea bush species of Mt. Mengding. 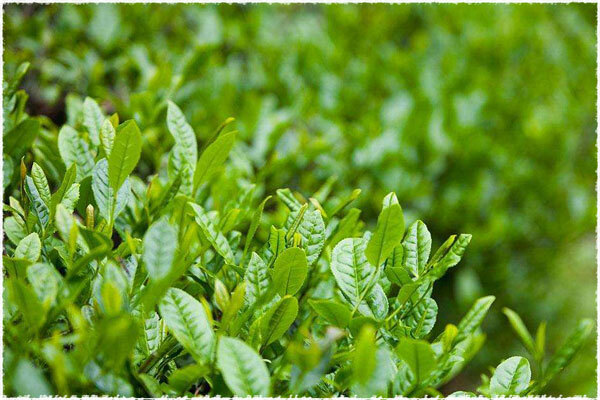 This tea species has rich palisade tissues, higher carotene and chlorophyll, so it can make high-aroma teas which have a pure taste and sweet aftertaste, also is the preferred raw material for processing jasmine tea.